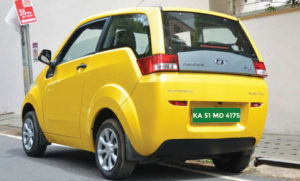 The Union Road Transport and Highways ministry has recommended green registration plates for electric vehicles to identify them for preferential treatment, such as special parking or discounted tolls. According to the proposal, the registration plates of private electric vehicles will have a green background with numbers and letters in white, and commercial electric vehicles will have a green background with numbers and letters in yellow. Niti Aayog, which is framing the draft policy for EVs, has also constituted a team comprising seven ministries such as power, road and heavy industries to frame guidelines to promote such vehicles.